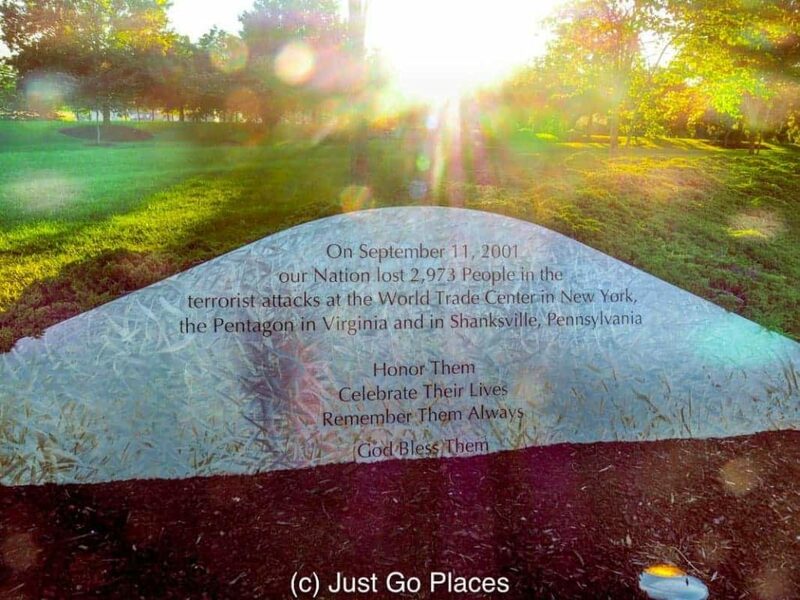 Although everyone associates New York City with the tragic events of 9/11, that day affected other people near and far. There are the obvious consequences such as the tightening of airline security and the wars to eradicate the Taliban. Less known is the fact that some of the victims came from 2 hours away where they lived in the rural beauty of beautiful Bucks County Pennsylvania. 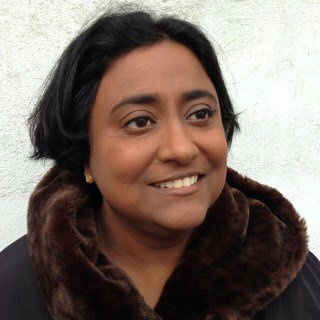 Although a small percentage of the victims, they were a large part of the local community. 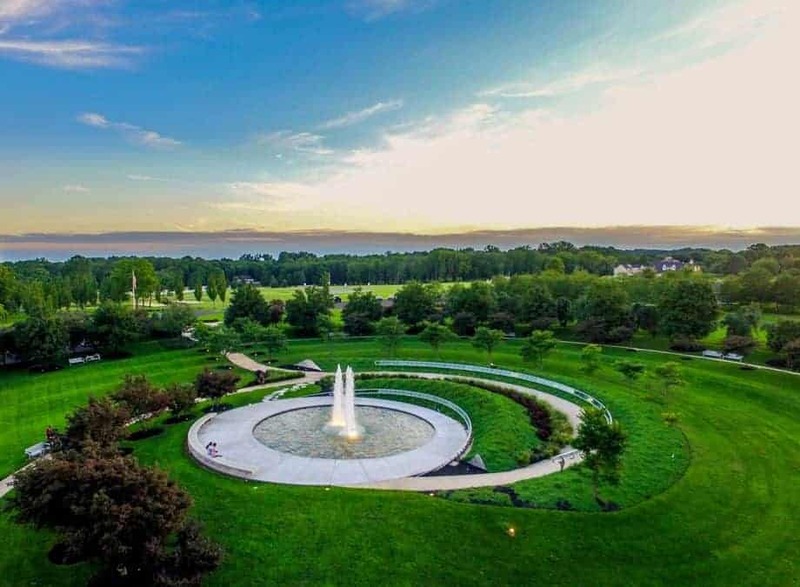 The Garden of Reflection 9-11 Memorial in Lower Makefield, Bucks County is the official memorial of the State of Pennsylvania for the 2001 terrorist attacks. 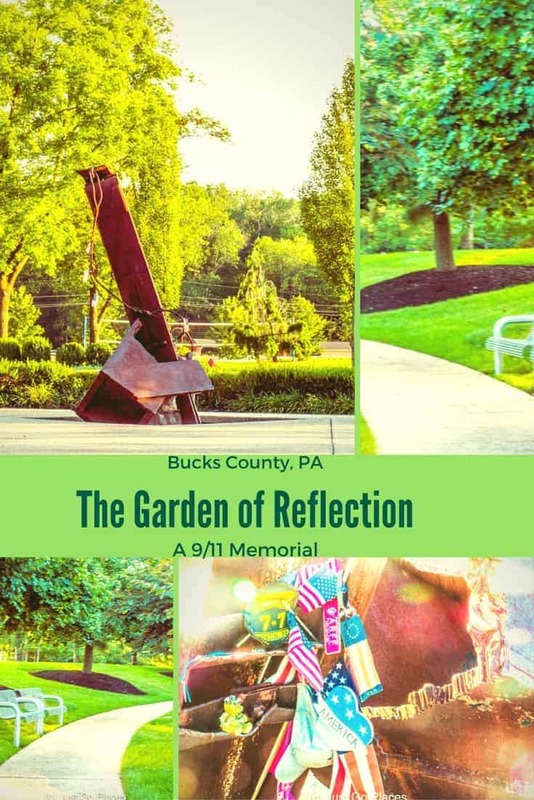 The Garden of Reflection is a 9/11 Memorial located in Bucks County, Pennsylvania in remembrance of the Pennsylvania victims of the World Trade Centre attacks. 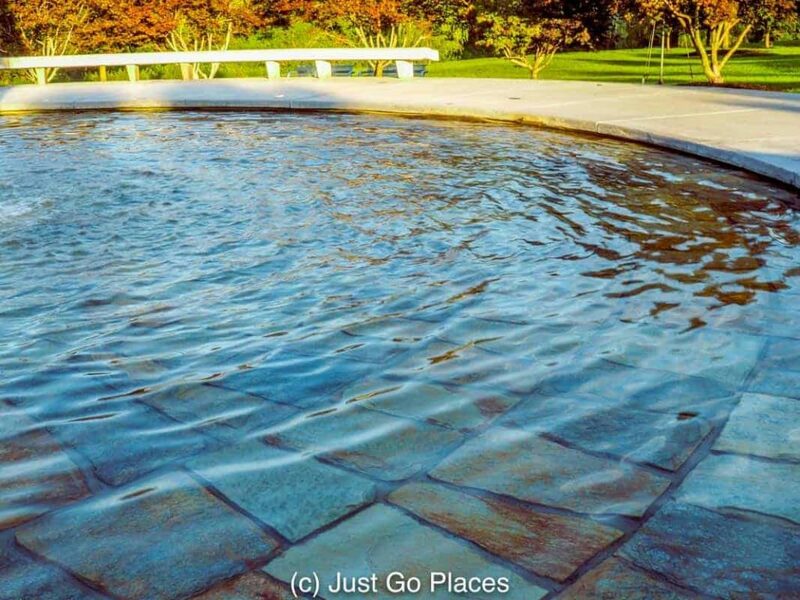 The architect who created the Garden of Reflection is from nearby Yardley in Bucks County. The memorial’s beauty lies in its simplicity. An explanation of the tragedy for future generations. The Garden of Reflection starts with a tear-shaped fore-court with a fragments from the World Trade Centre steel. 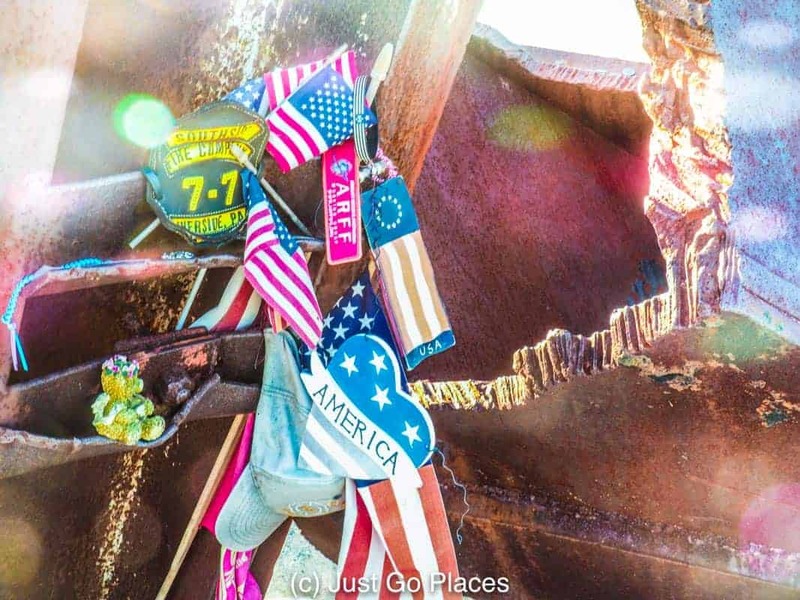 A piece of the steel from the twin towers decorated with tributes. 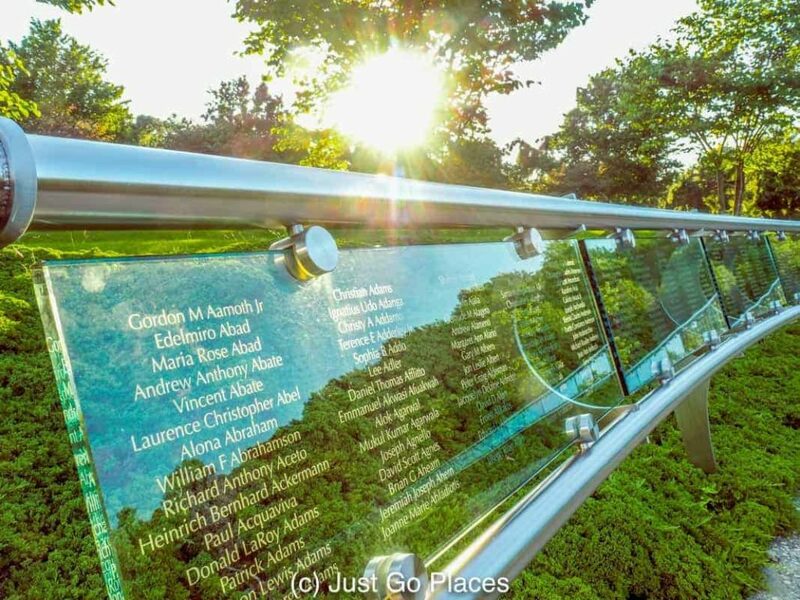 Then it leads along a remembrance walk which includes a glass plaque with the name of all the victims engraved upon it. The ripple effect of the planting symbolises the ripple effects of that day on so many people and places. At the centre of the Memorial are two fountains representing the twin towers. It is surrounded by a plaque memorialising the names of the 18 Bucks County victims. The names of the victims are etched onto glass. The landscaping reflects maple trees and redbud trees representing the victims from both Bucks County and Pennsylvania. Surrounding the fountains are 42 luminaries representing the 42 children from Pennsylvania who lost parents in the tragedy. 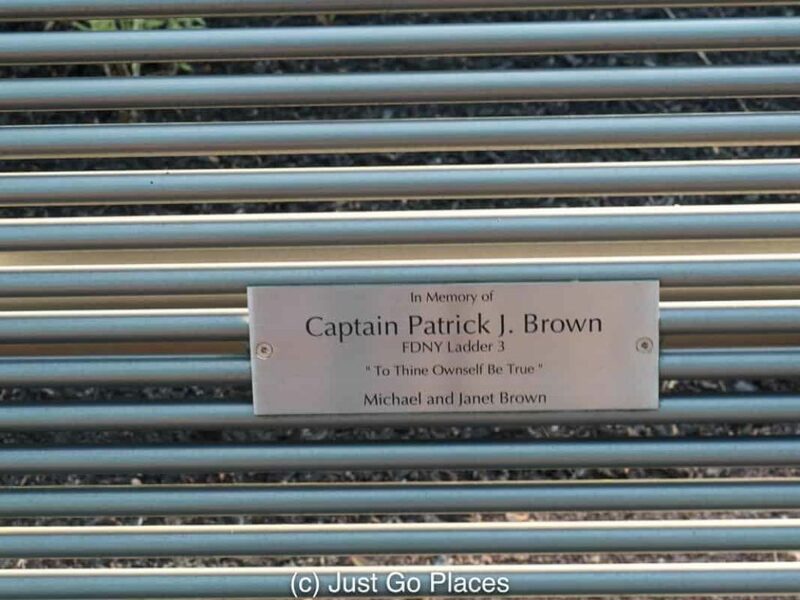 As befitting a place of reflection, beautiful steel benches are scattered throughout the landscaping. 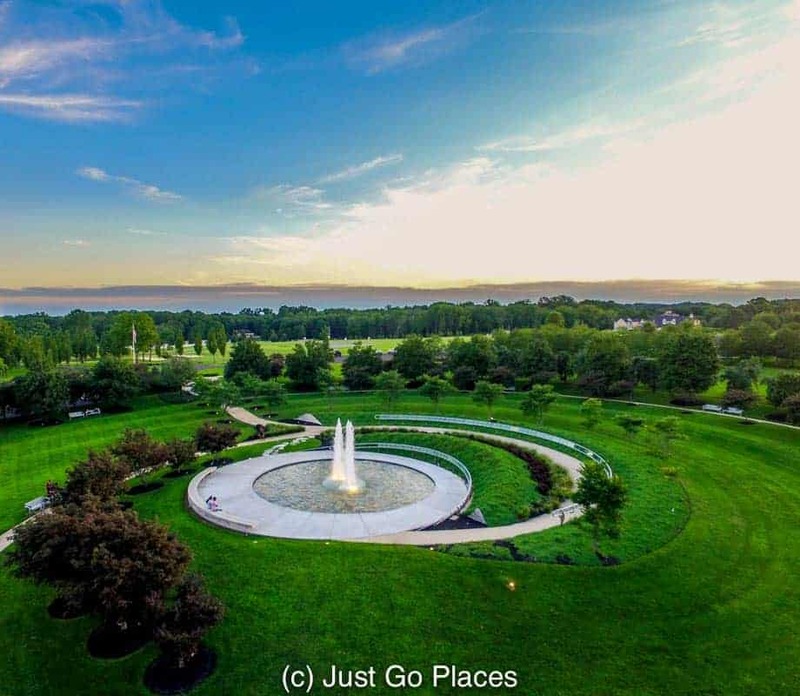 An aerial view of the fountains shows off the landscaping well. Bucks County is one of the original three counties set up by William Penn in 1682 when he established Pennsylvania. He named it after his own home county in England, Buckinghamshire. Pennsbury Manor in Bucks County was Penn’s country estate. Clearly the man went around naming things after himself and things close to his heart! The Garden of Reflection 9-11 Memorial honors all 2,973 of the dead, and especially the 9 locals from Lower Makefield and the 18 people from Bucks County, Pennsylvania who died on that day. The victims were a cross-section of the people who perished – two people on the flights (including the captain of United Airlines Flight 175) and others who worked in the Twin Towers – male and female, young and old. The police and firefighters rewrote the definition of courage and heroism on that day. Although not located in the traditional tri-state commuter states of New York, Connecticut and New Jersey, there are people who commute into Manhattan for work from Bucks County. My brother’s commute into Manhattan takes him a little over an hour each way on the express train. The gleaming towers of Manhattan have an inexorable pull if you work in anything remotely finance-related. Moreover, many New Yorkers have their weekend homes in Bucks County because of its bucolic beauty and low taxes. The little town of Washington Crossing is located near the Garden of Reflection. Every Christmas Day at Washington Crossing Historic Park, locals re-enact George Washington’s famous crossing of the Delaware River on the night of December 25, 1776. The crossing secured a victory which boosted both his men’s and Congress’s morale. The Americans had been getting hammered in the American Revolution and many of the recruits were close to given up. Washington’s gamble to secure a victory for his troops came to symbolise both American courage and resiliency. I found the Garden of Reflection 9-11 Memorial very positive in its approach which no doubt stems from its architect’s vision – “After darkness… light”. 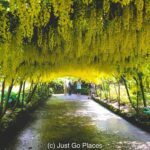 Every time I have gone to the Garden of Reflection, I have seen children playing in the grass, people walking their dogs, couples chatting on the bench. etc. For what could be a gloomy memorial, the use of this garden shows that its the everyday little things that are life-affirming. Terrorists have no power of the essentially positive nature of the human spirit. How else can you explain the pioneering nature of the early settlers of the American West? 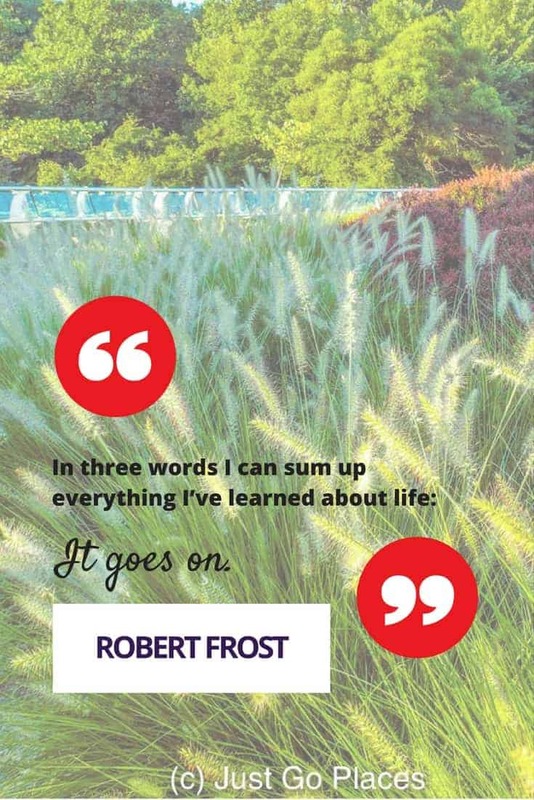 Robert Frost quote: In three words I can sum up everything I’ve learned about life: It goes on. Next door to the Garden of Reflection, there is a fantastic inclusive playground which is specially built to provide play opportunities for children of all abilities. I think the laughter of children echoing across the fields across to the memorial garden is a powerful symbol of hope. In addition to the playground, there are also playing fields. I believe a visitor centre is planned. As with everything, money is a factor in creating and maintaining this memorial. The local community have fundraising events to support it. I have taken my children to visit the 9-11 Memorial and Museum in Manhattan – it is powerful and sombre, a marked contrast to the Garden of Reflection. Of course, the national memorial would have had to remember the seriousness of the events that occurred and the lives lost on that day on that location. 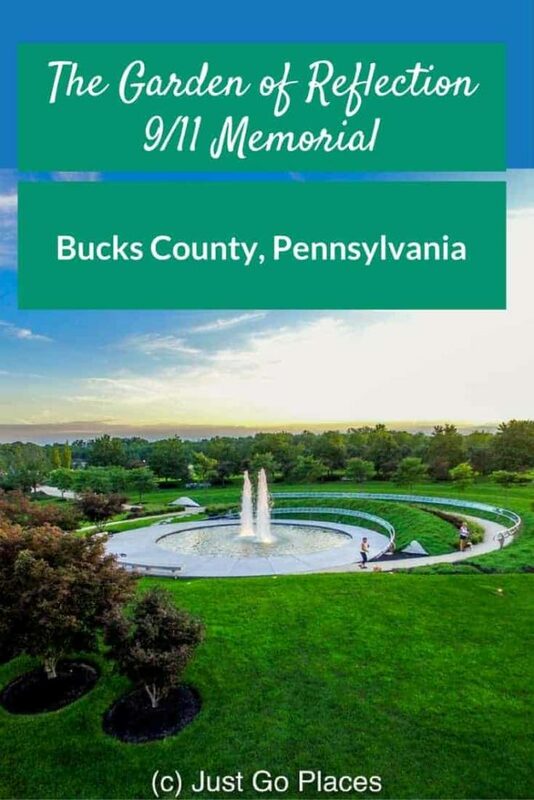 Bucks County had the freedom to create a more forward-looking tribute that honors the victims yet highlights the indomitable American spirit. 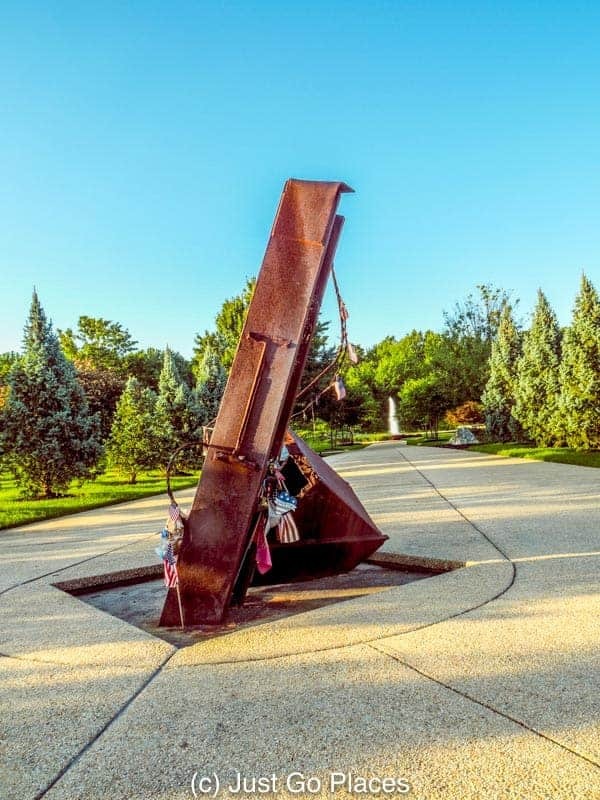 The Garden of Reflection 9-11 Memorial is located on Woodside Road in Lower Makefield, Pennsylvania. It is a short 10 minutes drive from the I-95, exit 49 for Yardley/Newtown. There is plentiful parking and specific directions on the official website. 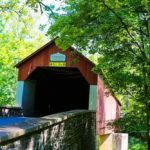 It’s a great place to stop if you are on a road trip along the East Coast. 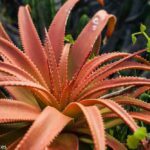 Nearby Newtown (another 10 minutes away) has a beautifully preserved downtown with enough Colonial architecture to make you swoon (and excellent cafes and boutiques).